3 Bedroom House To Rent in Nottingham for £695 per Calendar Month. 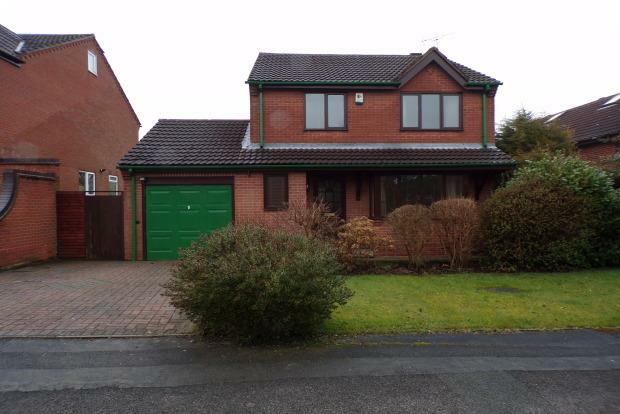 This well presented, modern detached home in Underwood, is afforded with excellent road links to Nottingham, Derby & the M1. It is close to local amenities and schools, and benefits from gas central heating and double glazing. It is available unfurnished. Off the entrance hall there is a guest cloakroom, with WC & washbasin. The spacious living room leads through a single door to the dining room, which has French doors leading out onto the rear garden. The fitted kitchen has a range of wall and base units and comes with gas hob, electric oven, dishwasher, fridge/freezer and washing machine. Upstairs, off the landing, are the three bedrooms and the bathroom; with full suite and an electric shower over the bath. To the front there is a lawn and borders with driveway parking leading to the attached single garage. To the rear there is a good sized rear garden with attractive patio area. The property is available at the end of April. Please call us on 01332-203830 to arrange a viewing. The property is available to let on an Assured Shorthold Tenancy Agreement for a minimum of six months.